Discussion in 'MacRumors.com News Discussion' started by MacRumors, Dec 17, 2014. For this year's World AIDS Day campaign, Apple ran several (Product) RED promotions, providing a (RED) section in the App Store and donating a portion of all retail and online sales from Friday, November 28 and Monday, December 1. According to an email Apple CEO Tim Cook sent out to Apple employees (via Re/code), the campaign was a huge success, earning more than $20 million for the (Product) RED charity, which uses its funds to fight AIDS in Africa. "I'm thrilled to announce that our total donation for this quarter will be more than $20 million -- our biggest ever -- bringing the total amount Apple has raised for (PRODUCT) RED to over $100 million," Cook wrote. "The money we've raised is saving lives and bringing hope to people in need. It's a cause we can all be proud to support." During the campaign, Apple partnered with 25 app developers to offer a variety of (RED) themed apps in the App Store, with purchase proceeds going towards the charity. 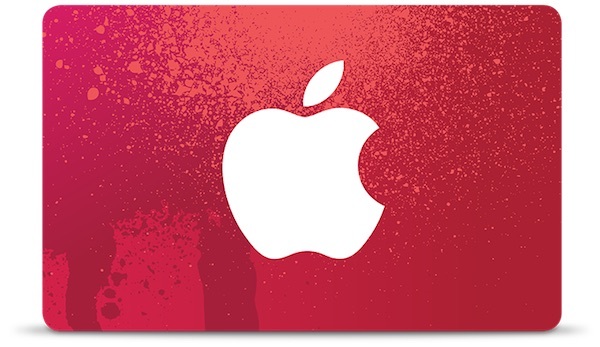 Apple's annual Black Friday event was also (RED) themed, and customers who purchased an iPhone, iPad, Mac, or qualifying Apple accessory received a (RED) iTunes gift card. According to Cook, Apple's $20 million quarterly donation to the charity is its biggest ever, but over the course of the company's long partnership with Product (RED), it has contributed more than $95 million. As of June, Apple had contributed $75 million to the charity, which is joined by this quarter's $20 million. Throughout its partnership with (RED), Apple has released a number of (RED) devices including iPod nanos and shuffles, iPad Smart Covers, iPhone Bumpers, and iPhone cases. With every (RED) product bought, Apple continues to donate a portion of the purchase price to the Global Fund to fight AIDs. While this is great news, the only reason for this is the partnership with Bono. Why doesn't donate to other charities besides RED? This is pretty impressive. Despite some earlier posts complaining about it not being enough, this is huge bucks towards a good cause. These enormous world problems don't get soved without large corporate partnership. So many worthy causes, one at a time. Raising $20 million in one quarter out of $100 million over several years sounds great! Apple should continue to promote this worthy cause and help out even more. I guess Bono will still complaint against Apple. I guess you should show him how to be a non complaining charity worker. With the kinds of money that's being thrown at this, why hasn't it been stamped out by now? Inquiring minds want to know. Your post made me wonder where this money is going. Product Red gives money to the Global Fund, which puts money towards treatment of Aids/Malaria/TB in Africa. That's got to be incredibly expensive to provide costly meds to 1000's of people, and the meds for AIDS don't eradicate the disease, only suppress it. So if you think about it, that money is essentially going to pharmaceutical companies that make the drugs. How much is actually going to research? As evidenced by some of the posts in this thread already (and plenty of others elsewhere in other threads), there are people who will complain no matter what Apple does. If they gave a million dollars to everybody who owned an Apple product, there are people who would complain about what currency denominations it was given to them in, or the color of the check it was written on. Kudos to Apple for donating to what they consider a worthy cause. It's more than a lot of other people and/or companies have done. Again, another distraction from making better iPhones and iPads. Besides, doing good deeds then boasting about them is actually more self serving than anything else. Here's an idea Apple. Donate to whatever cause you want but shut the hell up and concentrate on innovation and customer satisfaction which has been losing ground as of late. That is one of the reasons why I am Crazy for Apple!! ...because I'm sure all their iPhone/iPad designers and iOS programmers closed up shop and had to work in the Public Relations department during the entire RED Holiday Campaign, right? See, there's this thing called organizational structure. They have different departments which work on different things. No campaign or program they participate in has any effect whatsoever on the people designing and building products. This isn't a mom-and-pop shop where they have to quit stocking shelves to go help you at the cash register. Speaking as one of those always-complaining liberals, I'm all for it. That said, Apple has about $100 billion in net assets. So let's say you're a median US family, with a net worth of around $100,000. So $20 million to Apple would be about $20 for you. The grand total of $100 million would be like $100 for you. I'm not saying every little bit doesn't count, but rich people and corporations get credit for charity far out of proportion to what any individual would get for giving a similar percentage of their worth. This kind of comment is getting immeasurably old. That's a lot of money. Especially considering they got 3 more cash flows earlier this year. Many people don't have more than $1,000 in the bank. $20,000,000 is a lot of money. Don't care what anyone says. How do you know Apple employees don't? And doesn't Apple match employee contributions? Yeah because $20 million is a helluva lot more than $20. Sheesh. About the dumbest post I've seen on here. Just thinking about this...if an entire family's net worth is only $100,000, meaning the value of their house, cars, furniture/appliances, and anything in the bank, then I would think $20 would be a lot of money to them! Kudos Apple, though you could have given us Black Friday discounts and raised money for RED at the same time, well actually they would have raised more as people would have bought from Apple instead of other retailers .